Implied consent laws vary by state, but the setup is the same: Your agreement to submit to these tests was implicit – or implied – when you signed papers to get your driver’s license. The laws you are subjected to are those of the state in which you were arrested, not the state where you obtained your driver’s license. These laws are vigorously objected to by most criminal defense attorneys on the basis that every person needs an automobile to lead a productive, normal life. The thinking behind implied consent laws is that driving is a privilege, not a right, and that law enforcement officials have the responsibility to determine if you are a danger to the public. Defense attorneys also argue that you are subjected to criminal action for your DUI as well as license suspension, known as double jeopardy. However, because the license suspension is an administrative action by the DMV rather than a criminal issue, double jeopardy does not distinctly apply. 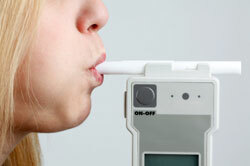 In most states a driver with a BAC above the state limit or a driver who refuses chemical testing for intoxication will have his or her driver’s license immediately suspended. The driver’s vehicle may also be confiscated or impounded, incurring significant costs to the driver. A restricted license may be obtained by a driver who loses his or her license. This allows travel to specific destinations such as work and school. An administrative hearing must be set within ten business days of the driver’s arrest in order to appeal the suspension or request a restricted license.